Add some floral to your wardrobe this season! 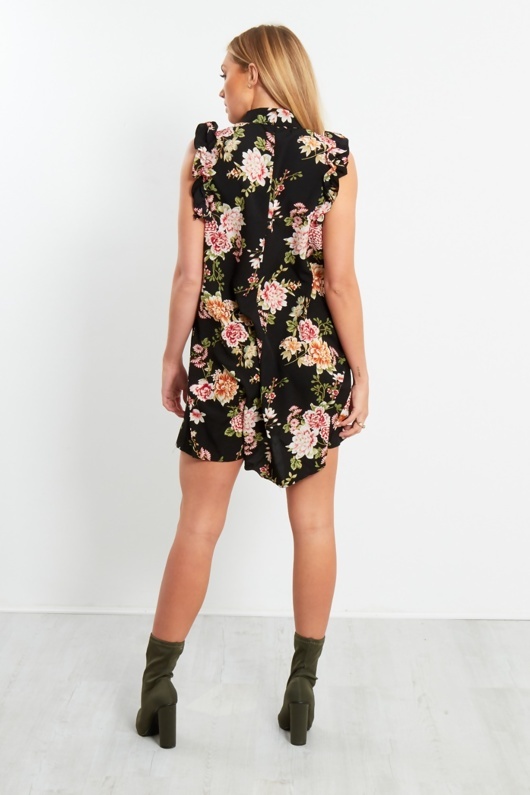 Featuring a black material with some floral print designs, this dress as a must need for every wardrobe! Add some killer heels for a serious statement look!